In the world of cryptocurrencies, your Private Keys are everything. They control your assets and that is why it is important to keep them very safe and secret. 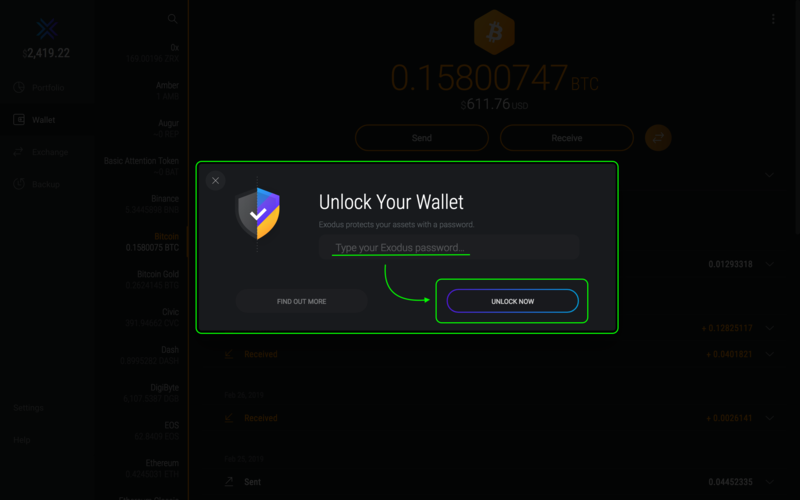 While Exodus will manage your Private Keys for you behind the scenes, some advanced users might want to see them, in other to authorize some movements manually. 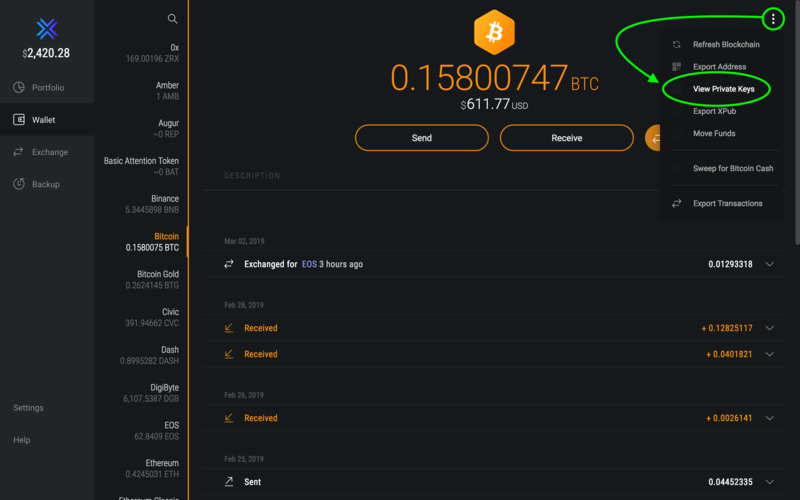 This guide will explain how to find your Private Keys within your Exodus wallet. 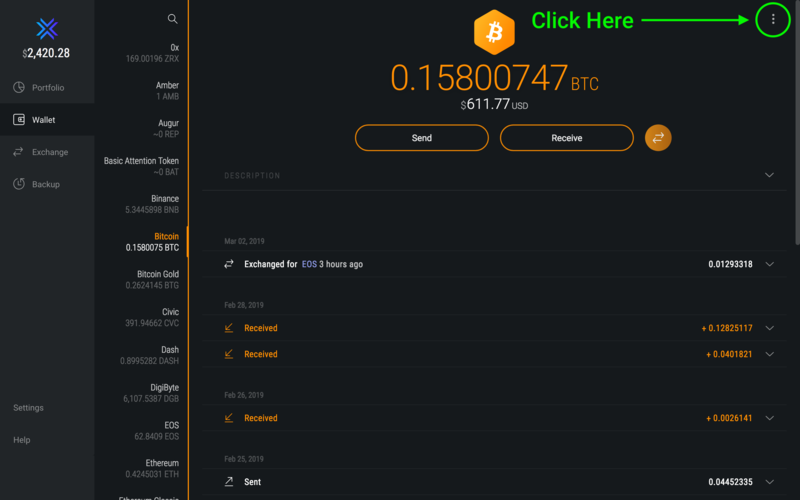 We designed Exodus to make it easy to hold and manage blockchain assets. Since most of our customers are new to the technology, we purposely hid the Private Keys a little bit, in order to protect beginners from getting phished. 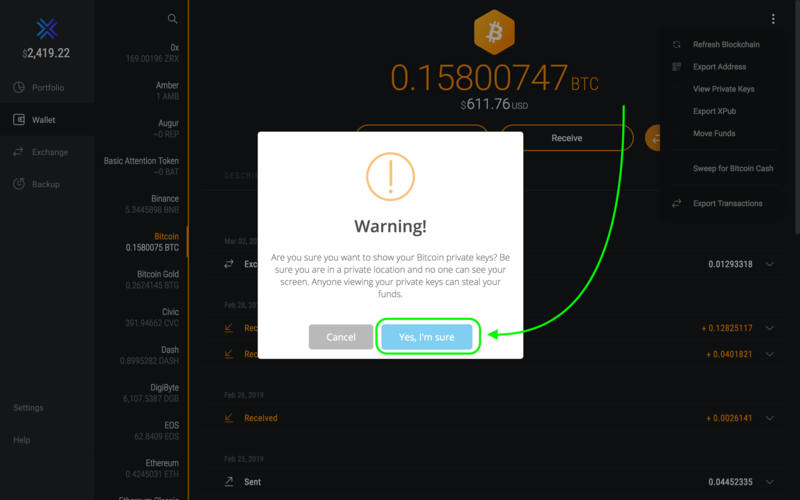 Although Exodus does not recommend manual management of Private Keys, many advanced users might want to view and test Private Keys interactions. While viewing your Private Keys, please make sure no one is around you. Private Keys are for your eyes only! If anyone is able to view your system with remote-sharing apps like Skype, Zoom, TeamViewer, etc. please disconnect them first! The Exodus team will NEVER ask you to open and see your Private Keys while they are watching! Each asset inside Exodus has a set of Private Keys. Some assets like ETH will have a single Private key, while UTXO-based assets like BTC, LTC, BCH, BSV, etc will have multiple Private Keys: One for every address. If you are on macOS, the Developer menu is under Exodus (To the right of the Apple icon in the menu bar). If you are using Windows or Linux, it can be accessed by pressing and holding Ctrl+Shift+D. Decide what asset you want to view the Private Keys of. 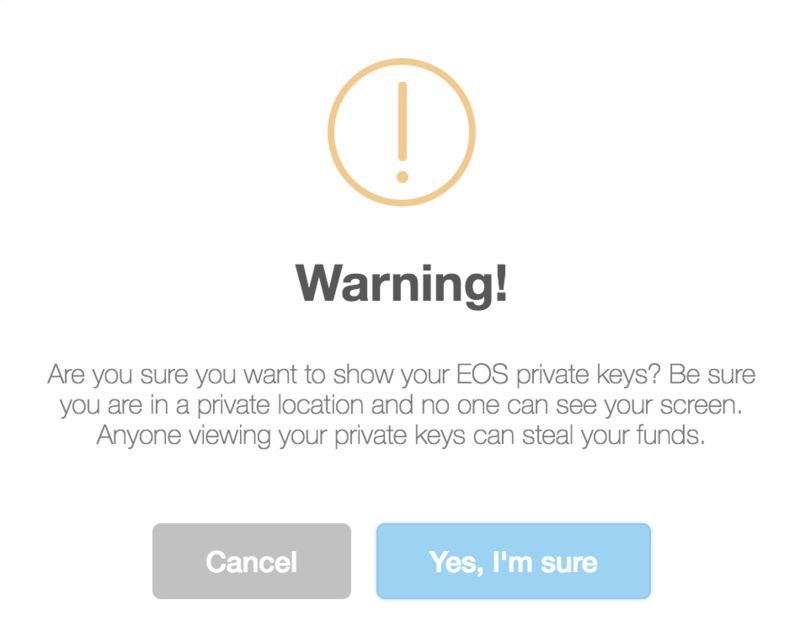 In this example, we are going to view the Private Keys for EOS Mainnet. These steps are the same for the other assets. Your Private Keys will be shown on a new window from where it can be copied. Once again, your Private Keys control your funds, treat them with respect.